Guilin is a small and pleasant city in Guangxi Province of China with many small attractions nearby attractions. Guilin is a beautiful city in it's own right but is most often used as a travel hub for people going to Yang Shuo or Longshen. The city of Guilin is built around two rivers and four lakes nestled between the surrounding karst mountians that the area is famous for. 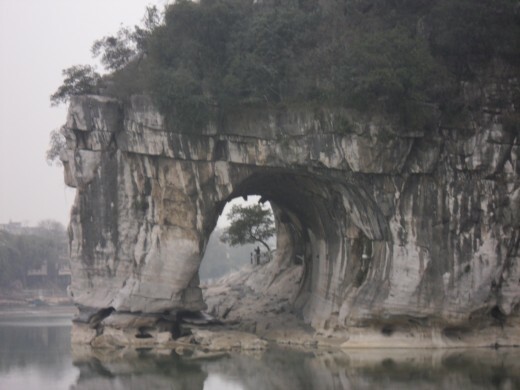 Guilin can be reached by plane, bus or train. If you travel to Guilin by plane you'll arrive in the Liangjiang International Airport. There is a bus from the airport to the town center that cost 20 RMB. 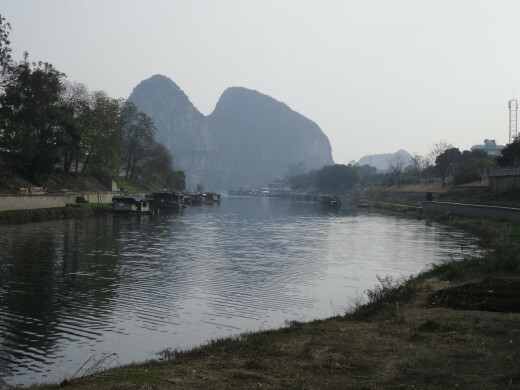 There are dozens of places that you can reach Guilin from by bus. The bus station and the train station are or the same road. The bus station is a little north of the train station. My personal preference for travel in China is to take the train to most destinations. 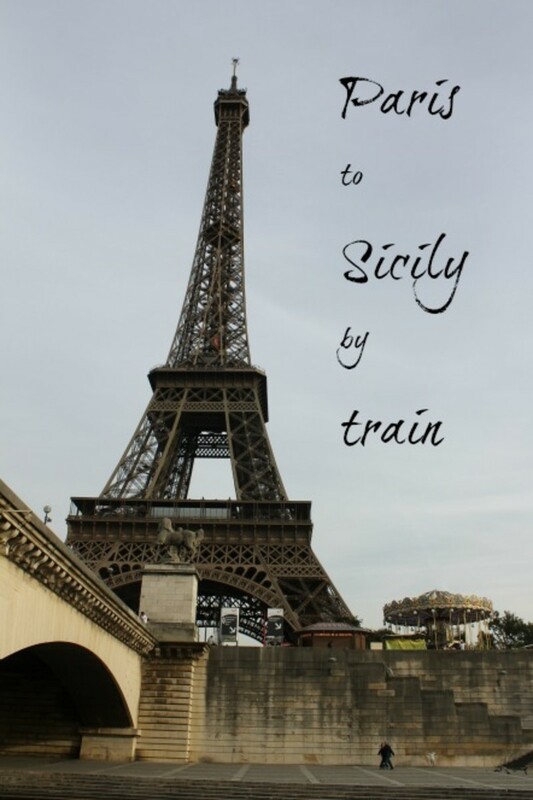 I almost never fly because traveling by train is much less expensive. If your destination is in a nearby province the train is the best way to go. If it is within the same province then the bus is usually the best choice. If you arrive at night and are looking for a quick place to settle in consider the Flowers International Youth Hostel. This hostel is extremely easy to find. 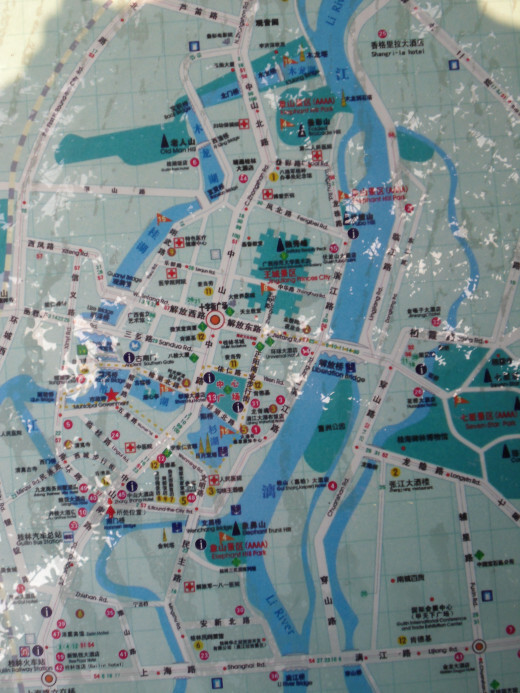 If you travel to Guilin by train you'll exit the train station and head north. Just walk across the parking lot, cross the street and look around. You'll see an alley that leads through a couple of small restaurants. There will be signs for the hostel as well. Just go to the end of the alley and turn right. You'll find stairs here that will lead up to the second floor where the front desk is located. The private rooms at the Flowers are great. The mattresses are thick and comfortable. The dorm rooms however are not as good. There are no real mattresses on the bunks. There is only a thin pad and a sheet of plywood. There are much worse places to sleep in China but there are much better also. The Flowers is great if you're only staying one night. 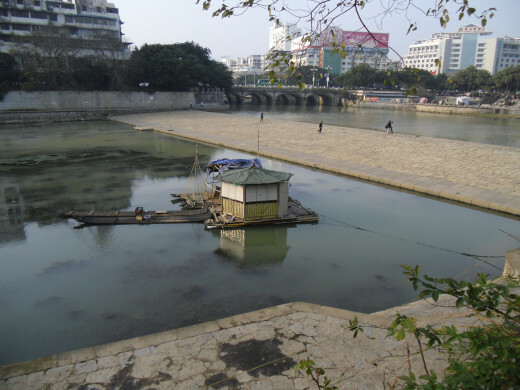 If you're staying much longer than that there are better, more comfortable places in Guilin. 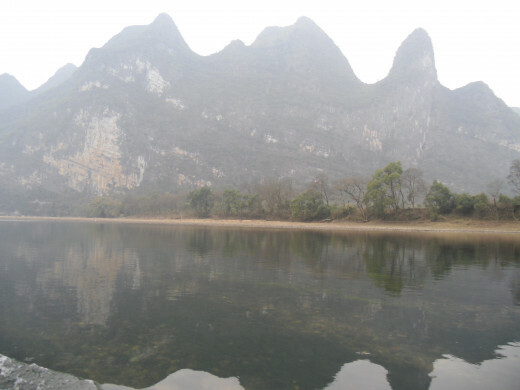 The staff is friendly though and can help in arranging trips to other areas such as Yangshuo or Longshen. Unless you speak Chinese very well do not try to arrange these trips on your own. 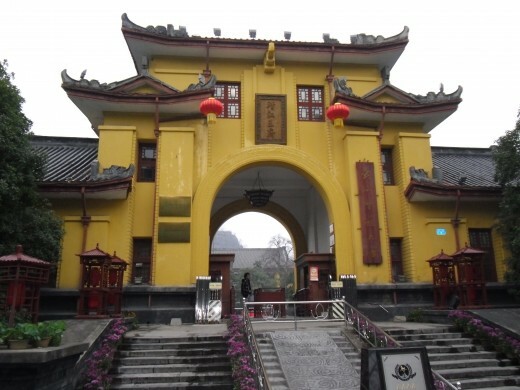 There is no shortage of hostels in Guilin. If you accept one of the taxis at the train station they'll likely try to talk you into staying at one hostel or another. These are likely due to arrangements, either familial or business, between the driver and the hostel. Most of these are located near the city center, often next door to each other. They are often also identical. However you should ask to see a room before you make your decision. Look at more than one place. Guilin is a small city with many beautiful scenic views. 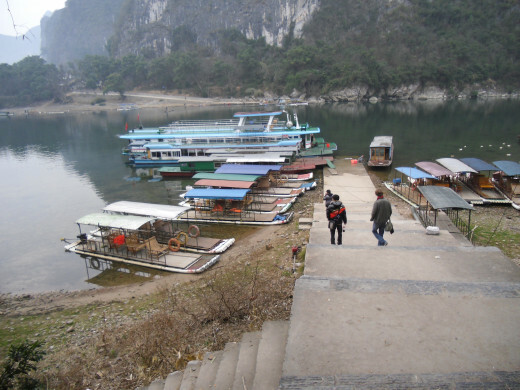 Because of this the best way to get around in Guilin is to walk. 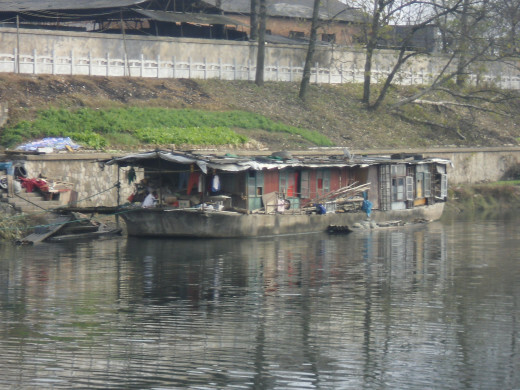 I never took a taxi in Guilin and in most cases I wouldn't advise it. However if you've grown tired of walking there are plenty of options available. Taxi drivers are everywhere as are buses. If you're interested in trasport that is a little more interesting there are some taxis which are bicycle pulled carts. Guilin is a great place simply for walking. The rivers and lakes that intertwine through the city along with the karst mountains that encircle it create many scenic views. 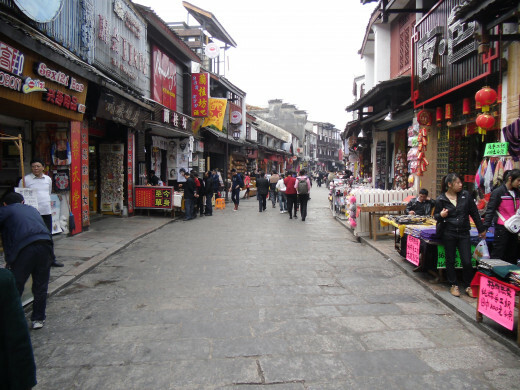 As you explore Guilin like in other Chinese cities you'll find many places for shopping. There will also be plenty of restraurants and even better, street food. There are a half dozen or so destinations within the city that are worth visiting. Some of these cost a bit of money but some you can see for free. A Chinese friend of mine recently told me that pagodas were originally built in eastern China for religious purposes and spread throughout the rest of Asia from there. She said that the pagoda is a building that architecturally speaking serves no real function other that religious. A brief scan of Wikipedia partially confirms her statements. 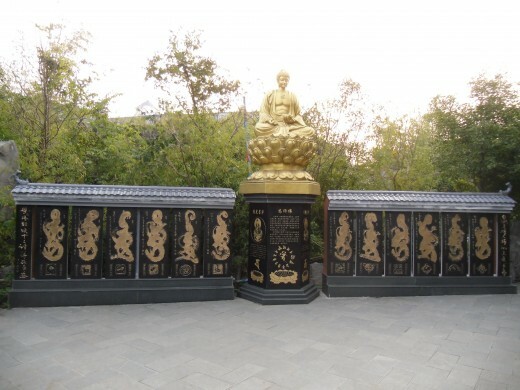 The pagoda began as a Buddhist monument which often served as a place to keep records, sacred writings and other relics. Though Wikipedia places the origin of the pagoda in Southeast Asia and evolving out of an earlier structure called a stupa. 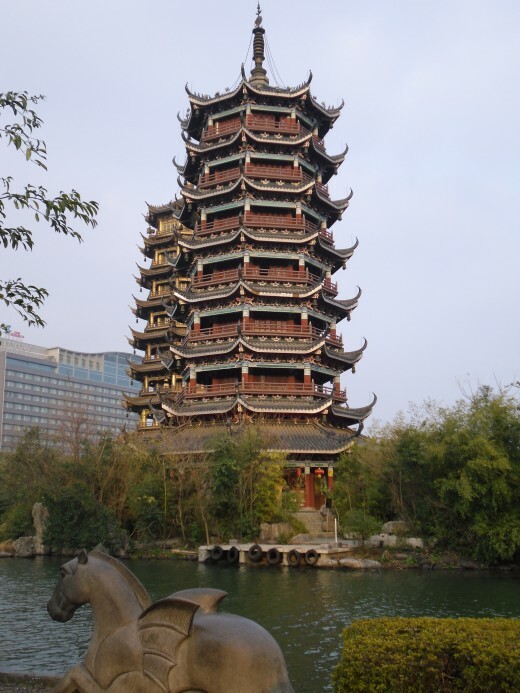 In addition Wikipedia states that the pagodas in China merged with the design of a Chinese Pavilions and Towers. From what I've seen this holds true. The pagodas that I've seen in China are usually tower like structures which largely resemble smaller Chinese pavilions stacked on top of each other. The Sun and Moon pagodas in Guilin are no exception to this. 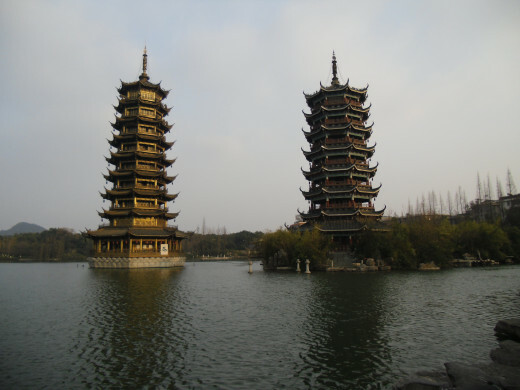 The two Pagodas tower over one of the lakes of Guilin. It cost about 15 RMB to enter. Inside you'll find many statues and Buddhas. These two pagodas are connected by an underwater tunnel. Photos are forbidden inside the halls because it is considered disrespectful to the Buddhas It of course also cuts into their profits. You can buy photos along with other trinkets in a small room at the top of the Sun Pagoda. This ancient palace was converted into a Fine Arts school for dance, music and theater. The palace is also a tourist attraction. The entrance price is around 80 RMB. There are tours that lead through many of the buildings however the tour guides here only speak Chinese so unless you speak Chinese or have someone with you who does the tours aren't that much use. 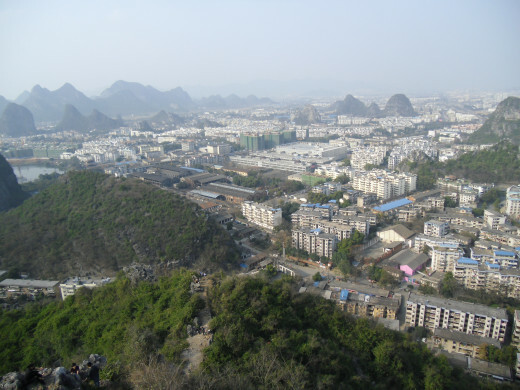 In the middle of the palace grounds is a lone karst mountain called Solitary Beauty Peak. Here you can climb stairs to the top of the mountain. The name Elephant Trunk Hill comes from the shape of the karst mountain. That is located at the edge of one of the rivers. Tickets here cost 40 RMB. This allows you to explore your way up to the top of Elephant Trunk Hill and the surrounding area. 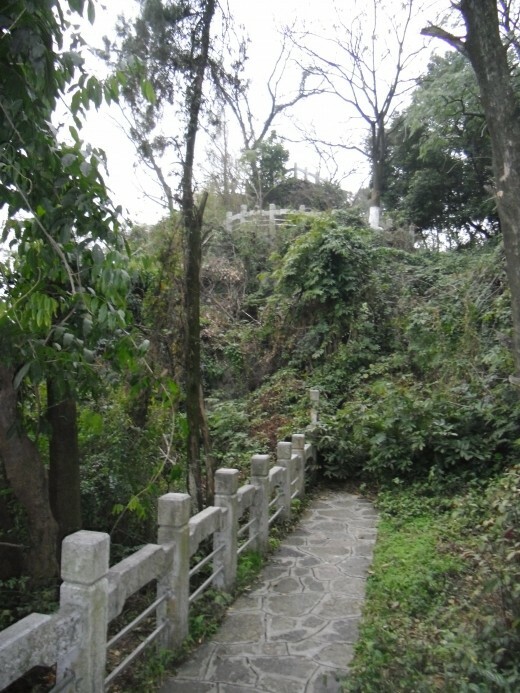 If you explore the city enough and especially if you head north of Elephant Trunk Hill you find that there are mountain paths that you can climb for free. Many of these overlook the rest of the city. Solitary Beauty Peak and Elephant Trunk Hill are both actually much more attractive when seen from above. Explore the outlining area and you'll find many places that are both free and much higher than the regular tourist attractions. While Guangxi province is not as well known outside of China as Sichuan and Hunan provinces for it's culinary dishes there do exist some local dishes in Guilin. At most of the "Chinese dishes" restaurants you'll find what has become the standard for most Chinese restaurants; a variety of dishes from all other provinces as well as a few local dishes including some specialties of the restaurant. 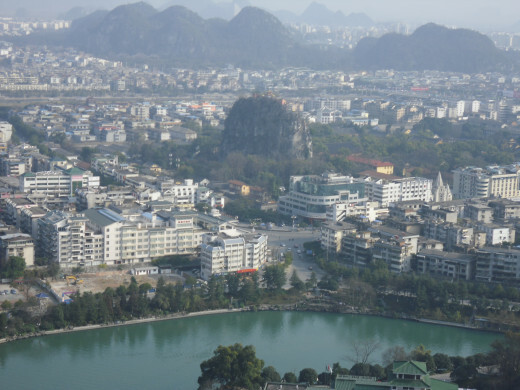 Guangxi province is located in the south and has been influenced some by Guangdong. Because of this Cantonese style dishes are common. These dishes are often sweet. They also may often include things that fewer Chinese people in other parts of the country will admit to eating. Though it was a bit out of my price range, I found snake on the menu of several restaurants I ate at in Guilin. This snake dish cost 200 RMB which I find a bit steep. Most dishes will run somewhere between 15 to 30 RMB. Though I can not personally attest to this I've been told that in Guangxi you can also find dog hot pot along with a few other dishes from uncommon animals. If these dishes scare you off, don't let them. You'll also find less scary but just as adventurous foods like Clay pot rice and Beer Fish. There is also plenty of street food and smaller restaurants. Many westerners I know are afraid to go into some of these places but the smaller places often have the best food. 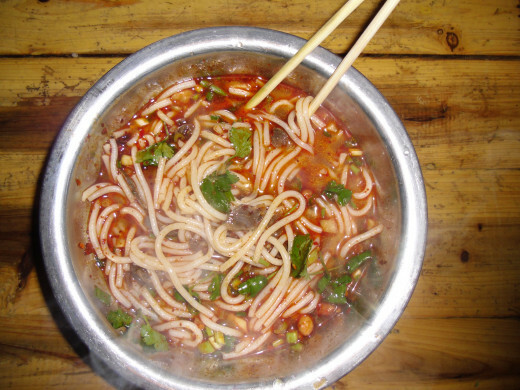 If you are in Guilin you should not miss trying Guilin mifen (rice noodles). Guilin mifen is pictured to the right. This is a traditional snack for this city. Locals often eat it for breakfast or lunch. It is made from rice noodles and is usually a bit spicy. For foreigners the Chinese venders usually tone down the spice or omit it all together because they believe that foreign people don't like spicy food. 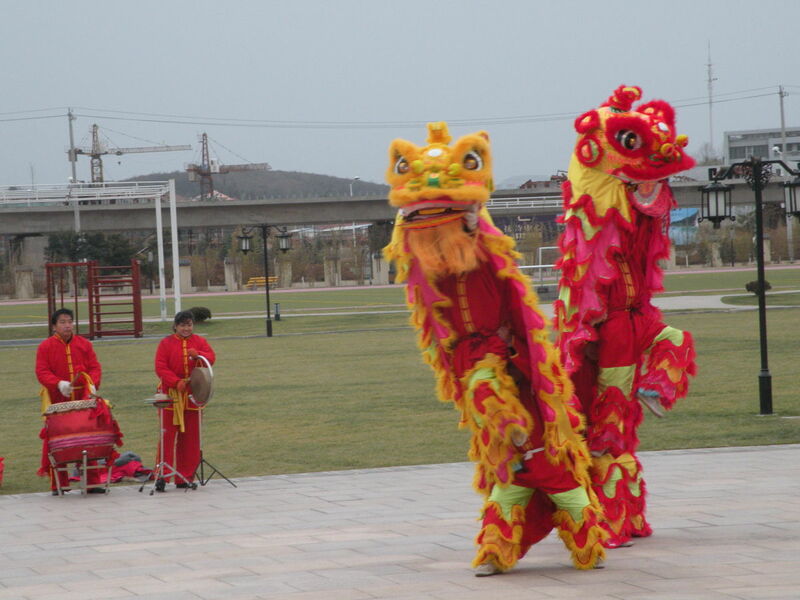 You may hear them ask, "Yao bu yao, la jiao?" They're asking if you want it spicy. La jiao is spicy sauce or paste that they put into the food. If you want it spicy simply say, "Wo yao, la jiao." If you don't want it spicy tell them, "Bu yao." If they don't understand you don't worry they will probably leave it out. If you want the spice and they leave it out you usually find a jar of la jiao on the table. I failed when I tried to travel to Longshen. If you want an amusing story you can read on my blog about how I managed to get lost. The short of the lesson is that you should generally take tour packages when you want to travel somewhere, especially if you don't speak much Chinese. 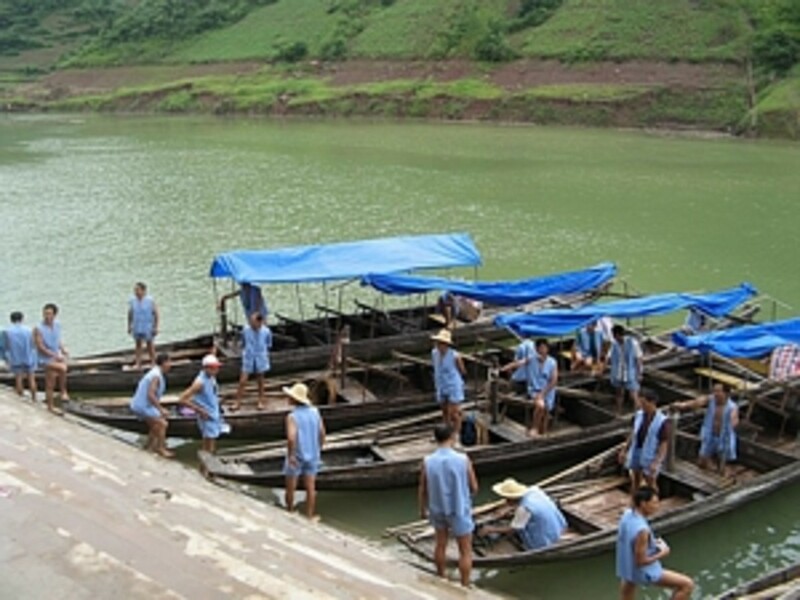 Longshen is a famous tourist destination because of the long meandering rice fields. This place has been given the name “The Dragon's Backbone” because of the long twisting view created by the rice fields. People say that the glimmering black reflections created at the right time of day make it look like the scales on the back of a dragon. Most foreigners who come to Guilin are traveling to Yangshuo. This is with good reason. Yanghsuo is a small town that provides are break from the city life of China. The discovery of Yangshuo has partially diminished it's appeal as a backpacker’s getaway but it is still worth traveling to. 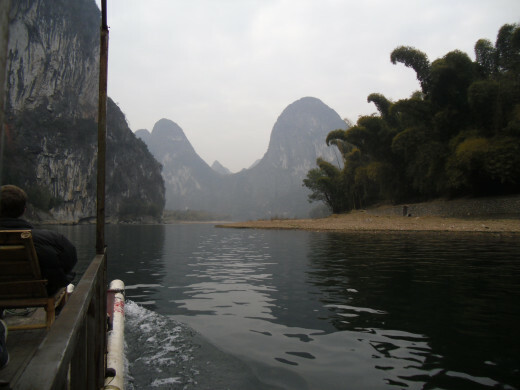 There are three ways to get to Yangshuo from Guilin. You can take a bus. You can float down the river on a raft. You can also take a small cruise ship down the river. I would recommend either of the second two. Taking the raft is nice if you are traveling with company. It is a lovely peaceful trip that will take you down the river. The upside to this is that you are close to the water and you get to drift lazily down the river. The downside is that the guides who push the rafts along the river don't know any English. They won't be able to tell you anything. They'll know enough to tell you when you've arrived but not much more than that. When you reach the end of the raft ride there is a WC which costs 2 RMB to use. The boat is also an excellent experience. There will be a guide on the boat who will be able to speak in English. She'll spend half her time talking in Chinese and the other half repeating everything in English as best she can. The boat ride provides a free lunch. It also gives you the ability to ride inside. This is advantageous during the winter months because it gives you some shelter from the wind. Visit the town of Yangshuo China. Yangshuo is a travel destination for backpackers and people looking to escape the hectic cities of China. 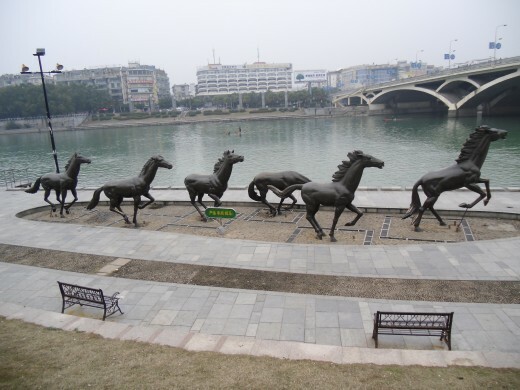 The city of Wuhan in Hubei Provence is centrally located in the People's Republic of China. 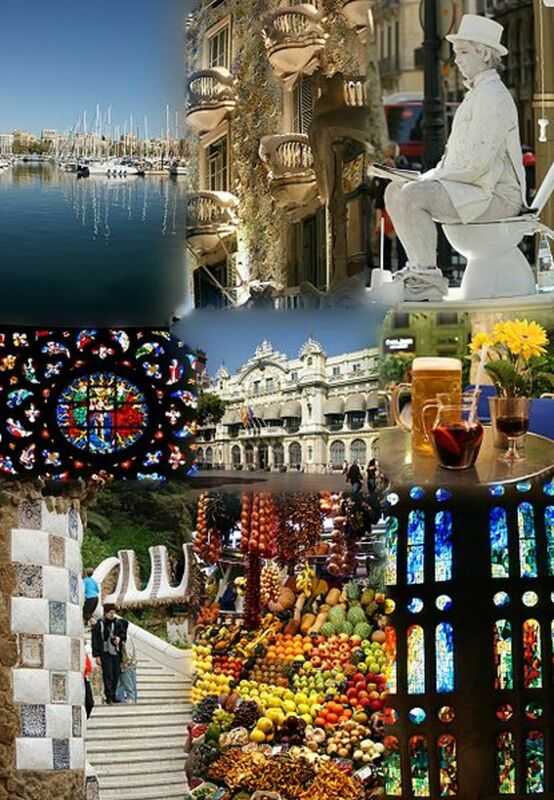 It is home to several auto manufacturing companies and is also an important historical city. Very interesting Hub. China is a favorite destination of many and my cousin is there so I wish to visit soon. I've learned a little but not enough to really communicate well. I do like to travel alone too and when I went to Guilin I went alone. 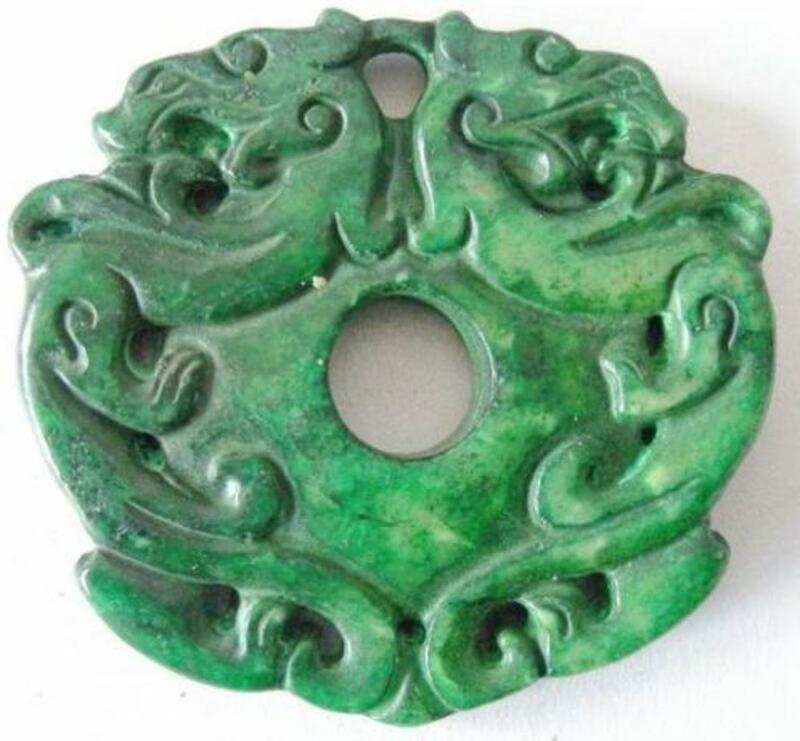 I had friends of mine in Wuhan who helped me buy tickets to Guilin. Then once I was there I met an English man at the Flowers Hostel who could speak Mandarin. He was going to the train station to post something to his home near Beijing and he helped me buy tickets back to Wuhan. This is one of the advantages of staying in hostels. You mean lots of people and some of them can help you do things. Also, in most hostels that I've been in they expect to have foreigners there and they often hire people who can speak a bit of English. I'm not going to say that it is easy getting around without knowing the language but it can be done. It would be better to learn a bit before coming and then to study while you're here. Also those phrase books come in handy. Even if you can't say the word write you can point to it and they'll understand. What a beautiful place to visit. I normally like to travel solo but am concerned about doing so in China because I don't speak the language. I presume you do speak Mandarin? Otherwise, how do you negotiate the transportation system? Voting this Up and Interesting. Vellur, thank you. It is a beautiful place. This place is filled with natural beauty, the pagodas look lovely, the walks must be great, the way you have described this place makes me want to visit. Will make it some day! !Longshen sounds interesting!! Voted up. Guilin is a great place. I'd recommend spending maybe a day or two there and using it as a stepping stone to the rice fields and Yangshuo. Guilin is Beautiful but most people enjoy Yangshuo much more. I've not been to Xishuangbanna. I just learned about it now. I'm told that it is a beautiful place and that they have a strange custom of welcoming visitors by splashing them with water. It sounds very interesting. I've tentatively planned to travel to Tibet this summer. However there is some kind of special visa that I need to get to do that and I've been told by some people that this is difficult for foreigners. If my plans for Tibet fall through I may head to Yunnan instead. This is a very interesting and useful hub. When I next go to China, I'll definitely check out Guilin based on your pictures and descriptions. I have heard a lot of good things about Xishuangbanna in Yunnan Province. Have you ever been there? Voted up and sharing.